♥ Mama 2 Multiples ♥: Purex Crystals Fresh Mountain Breeze Review & Giveaway! Purex Crystals Fresh Mountain Breeze Review & Giveaway! I have reviewed Purex Crystals before, and have never been disappointed, so I was very excited to be chosen for yet another wonderful promotion from Purex to review a new fragrance of Pure Crystals! As soon as I opened the box to take this product out, I could already smell them! 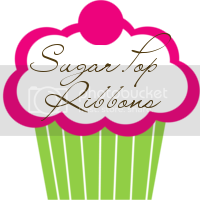 I wish I would post a sample of the scent here for all of you to try out too, it's THAT good! I got right to work using these to enhance and refresh my laundry. With four children ages 5 and under, laundry could ALWAYS use a little extra refreshment and enhancement! These are SO easy to use! Just simply fill up the cover with the crystals and sprinkle them on top of your full load of laundry! For extra extra refreshness, add a second or third cap full. I prefer to hang dry all of my shirts, so to hang those all around our home after washing them with these crystals makes the house smell AMAZING!! Even after the clothing is sitting in the dressers for a week or more, the still smell SO nice and mountain breeze fresh from using just a simple cap full in our load of laundry! 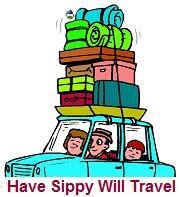 That never happens with just laundry detergent! I am SO happy with this product, as I always am with Purex! 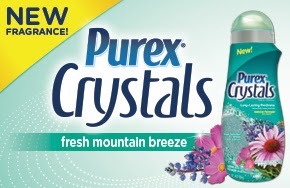 Purchase it: Purchase NEW Purex Crystals Fresh Mountain Breeze at a grocery store or Walmart near you! WIN IT: THREE lucky readers of Mama 2 Multiples are going to WIN a FREE 28 oz. bottle of Purex Crystals Fresh Mountain Breeze! To enter, simply follow the instructions and fill out the giveaway form below! Dial Vitamin Boost Body Wash Review & Giveaway!